have brought me to this, that for love I shall die..."
NVB drops you into the heart of the medieval period with the courtly music of Machaut and a playful courtship and an ominous oath of love. Lute songs then draw you into the renaissance period describing the perfect union and its regretful fade. Songs of the Baroque pave the way for the ill fated lovers to an end you’ll have to come and see! 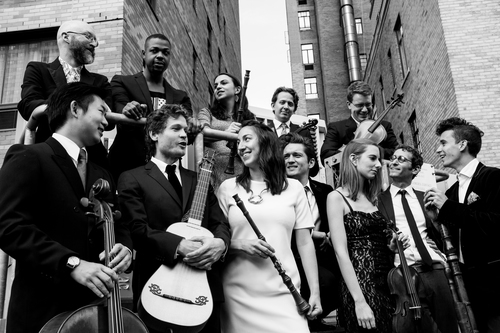 The event will feature the NYC based ensemble New Vintage Baroque, (currently in residence at UNR) for an intimate performance of ancient songs spanning the medieval, renaissance, and baroque era. There are only 50 seats available so please RSVP for yourself and your guest. All proceeds of the event will go directly to the CYMBAL Foundation, empowering the next generation of young musicians in Incline Village. 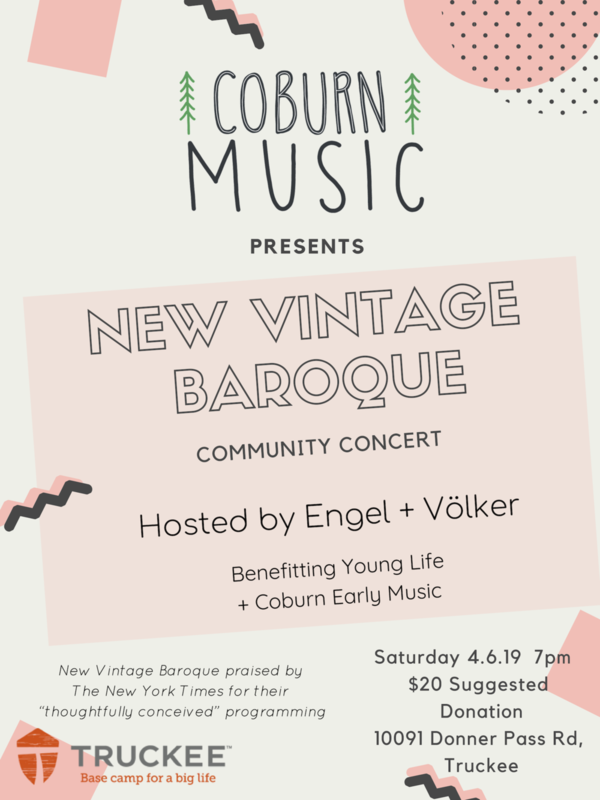 This concert is a private event held at a home in Incline Village, if you would like to attend please RSVP to newvintagebaroque@gmail.com and someone will be in touch with you. Emma is long-time Art-Maker & Producer hailing from the east coast of Canada. A folk-singer at heart, Emma has turned her love of storytelling into a full time career working across six performance art disciplines: theatre, music, dance, spoken word, film, and comedy. She has worked as an educator, performance artist, Artistic Director, and Executive Producer on projects ranging from NYC public school programs to critically acclaimed world premieres. Emma can't help tapping her toes and laughing and singing along! Canadian-born violinist Edwin Huizinga is quickly establishing a reputation as one of North America’s most versatile violinists. Performing both baroque and modern repertoire he enjoys performing with musicians from all kinds of genres worldwide. As a soloist and chamber musician, Edwin has performed with the San Bernardino Symphony, the Note Bene Ensemble, the Kitchener-Waterloo Chamber Orchestra, the Georgetown Bach Chorale, the Carmel Bach Festival, the Sweetwater Music Festival, the Trinity Alps Chamber Music Festival, and Banff Summer Arts Festival, among others. As a baroque violinist, Edwin has toured throughout North America, Europe, and Asia with the world-renowned baroque orchestra Tafelmusik, Opera Atelier, the Wallfisch Band, Aradia Ensemble, and Theater of Early Music. He is a founding member of the baroque ensembles Passamezzo Moderno and ACRONYM, and is a member of the string trio Academy. Concert Series. Edwin has served as guest director of the Atlanta Baroque Orchestra, as a guest artist with I FURIOSI Baroque Ensemble, and as guest concertmaster of the New Dutch Academy and the Kansas City Baroque Orchestra. As a modern violinist, Edwin has performed all over the US and Germany with The Knights NYC, and has recently joined the contemporary quartet OSSO based in NYC. Edwin has worked with notable conductors along the likes of James Gaffigan, Bruno Weil, Simon Rattle, Matthias Pintscher, Paul Goodwin, Jane Glover, and more. In addition to his career as a classical violinist, Edwin is a member of the Juno-nominated indie rock band The Wooden Sky. He has performed with Broken Social Scene and Jazz Mafia, and has recorded with The Mars Volta and Vanessa Carlton, Great Bloomers, the Minators, among others. Edwin has a passion for bringing chamber music to the people and is a founding member of the Classical Revolution which began in San Francisco in 2006. He currently serves as the Artistic Director of the Toronto Chapter of Classical Revolution, which he founded in 2010. Through Classical Revolution, he and his colleagues are shaping a future of concerts and jam sessions in alternative spaces around the world. Edwin’s dedication to music education led him to his current position as Artistic Director of the Big Sur Music Camp. He has coordinated outreach with the Banff arts Centre, Oberlin College, Panama City, Panama, the Carmel Bach Festival, and more. He also currently teachers with The Hammer Band’s Violence to Violins program in Toronto, reaching children in at-risk neighborhoods who may otherwise never have an opportunity to learn music or play an instrument. Nate Helgeson is in demand in the United States and abroad as a modern and historical bassoonist. He is a founding member of period instrument ensembles on both coasts, including SacroProfano, Grand Harmonie, and New Vintage Baroque. Nate also appears regularly with many of North America’s premier period ensembles, such as the Tafelmusik Baroque Orchestra, Portland Baroque Orchestra, Mercury Baroque, and the Trinity Baroque Orchestra. On the modern instrument, he has performed throughout the country with a diverse range of ensembles, including the Oregon Bach Festival Orchestra, the Boston Philharmonic, and Callithumpian Consort. Nate is a graduate of the Historical Performance program at the Juilliard School, and holds degrees in modern bassoon performance from the University of Oregon and the New England Conservatory of Music. Early music artist Adam Cockerham specializes in theorbo, lute, and baroque guitar. He has performed with ensembles such as Trinity Baroque Orchestra, NOVUS NY, TENET, Philharmonia Baroque Orchestra, New York Baroque Incorporated, El Mundo, and J415. He has been involved in modern world premiere performances of 17th-century operas with companies such as Innsbrucker Festwochen der Alten Musik (Le nozze in sogno), Ars Minerva (La Cleopatra, Le Amazzoni nelle isole fortunate), and world premiere performances of new operas with companies like the Prototype Festival (Pulitzer Prize-winning Angel’s Bone) and Opera Saratoga (A Long Walk). Introducing Sessions, a new series from Amanda + James bringing you performances from rising classical musicians in intimate, informal settings. Our third installment focuses on music of the Baroque. The vibrant young period orchestra, New Vintage Baroque, Praised by the NY TIMES for their "appealing energy" and "thoughtfully conceived programming," will present a joyous program that will interweave brand new Baroque arrangements by Jonathan Woody of some of our most iconic holiday songs such as "Have Yourself and Merry Little Christmas" and "Let it Snow" with some of the most beautiful Baroque Christmas chamber music. Coburn Music will take you on a journey of Love, Loss and Madness by interweaving beautiful arias and instrumental works by Handel, Purcell, Monteverdi and Vivaldi. Coburn Music presents a lunchtime performance of Bach's Coffee Cantata: an 18th century battle of wits between father and daughter over the merits of this new fad called Coffee. Free admission. All donations matched by Coffeebar. All ages welcome. *All ticket donations will be matched by Coffeebar!! Coburn Music presents an evening of popular hits from 13th and 17th century France featuring virelays by Machaut and air de cours by Camprá. 8 PM and 9 PM sets. COBURN EARLY MUSIC PARTNERS UP WITH TRAILS AND VISTAS TO BRING YOU "MUSIC IN THE MEADOW"
This performance feature excerpts from Jean Frey Rebel's Characters of the Dance interwoven with songs from written and performed at the infamous 17th century Vauxhall Gardens in the Perazzo meadow. Joining Coburn Music is local musical historian Richard Blair, and folk singer and songwriter Angele Carroll. Coburn Music invites you to join us for our opening gala, The Coburn Bacchanalia on August 5th, 2017 at the Cedar House Sport Hotel. 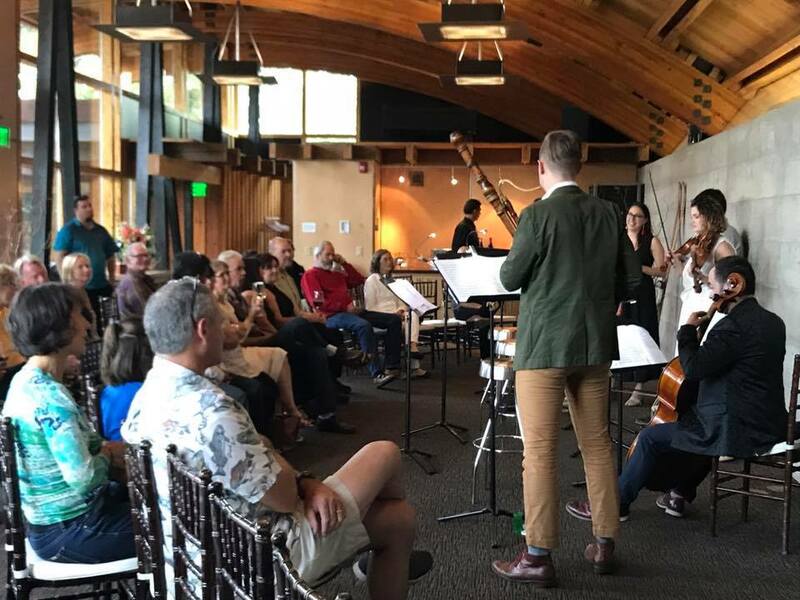 Truckee's first and very own Baroque chamber music series will launch the week with an evening of three courses of music paired with Stella's Pop-Up culinary excellence. $75 Admission: wine, canapés and music. 5-5:45pm: Table music, mingling, canapés and cocktails. 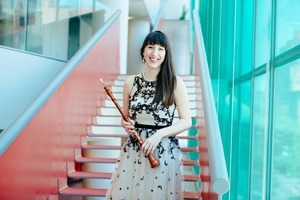 Table Music at National Sawdust is a one of a kind music series created and curated by Juilliard graduate and historical oboist Lindsay McIntosh, featuring a fresh and innovative young Baroque ensemble, New Vintage Baroque. Inspired by Café Zimmerman, the largest and most popular Kaffeehaus in Leipzig and a center for the middle classes during the eighteenth century, National Sawdust and James Beard Award-winning chef Patrick Connolly bring you a Sunday brunch series. Join us for a unique and warm dining experience, where you can enjoy live historically informed performance (HIP) music in a non traditional way. Not only does this series create a laid back environment for customers to come in and listen - it also gives a much needed arena for young performers to perform and practice HIP music of the eighteenth century. 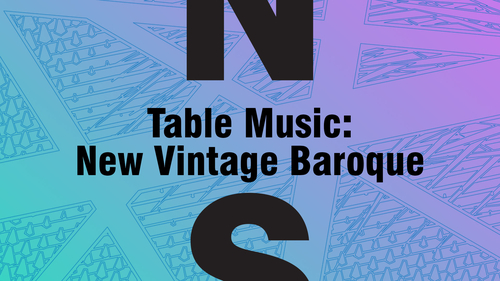 New Vintage Baroque is the resident group for the Table Music Series. Check out the Spring dates for brunch! Broadwood Junction was formed after the chance discovery of an 1810 Broadwood square piano at an estate sale in Virginia. The must-have instrument of the late 18th century, square pianos paved the way for the middle class to make music at home, finding their way into the parlors of Jane Austen, Thomas Jefferson, Marie Antoinette, and Johann Christian Bach. Broadwood Junction is dedicated to bringing the unique stories and timbres of our square piano to the public. Made up of alumni from Juilliard's Historical Performance program, the trio is passionate about exploring, experimenting, and performing repertoire from the early Classical to the Romantic era. Check out this new article from Early Music America!!!! Finding new and innovative ways to perform and keep HIP alive has been my mission since attending The Juilliard School. The HIP department and faculty at Juilliard were so inspirational to so many of us young and aspiring musicians that I feel inclined to do my part to make early music approachable and sustainable in the 21st century. National Sawdust and Paola Prestini have been invaluable to helping me bridge this gap between the traditional concert space and a venue that allows us to reimagine the world of HIP. ”Wolf-in-Skins” is an evening-length “dance-opera” choreographed and directed by Christopher Williams and composed by Gregory Spears. Kings, foundlings, wolves, hounds, fay milkmaids and other mythical characters fill this dance opera that draws inspiration from a cycle of Welsh romance tales that preserve pre-Celtic and pre-Christian elements. It views marginalized or outmoded cultural relics, celebrating the “otherness” inherent in early Welsh literature, through a contemporary lens. Wolf-in-Skins is currently in development in American Opera Projects’ “First Chance” and “Dance Opera Initiative” programs, supported by funding through the Rockefeller Brothers Fund, and in partnership with Philadelphia Dance Projects, supported in part by The National Endowment for the Arts, the William Penn Foundation and the Philadelphia Cultural Fund. Additional development of Wolf-in-Skins has been supported in part by funds from the 92nd Street Y New Works in Dance Fund, the Greenwall Foundation, and the O’Donnell-Green Music & Dance Foundation and provided through residencies at the MacDowell Colony, Yaddo, One Arm Red, Dance New Amsterdam, the Joyce SoHo as part of a Rockefeller Dance-Theater Planning Residency, and at Watermill - a laboratory for performance.